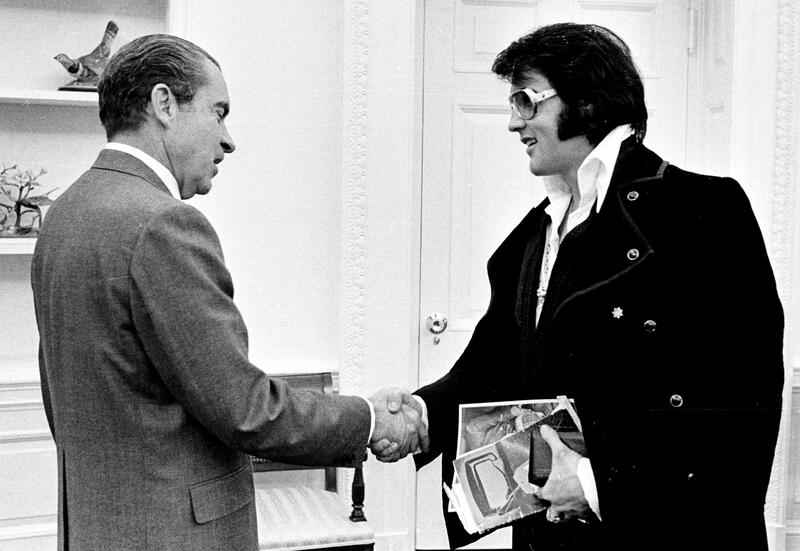 When rock stars were at their peak in the 1970s, Elvis Presley could show up at the White House, demand to see Richard Nixon, and stroll into the Oval Office wearing a shirt with a massive collar. Rock stars were God-like figures who had cult-like followings. They could do no wrong—or, at least, they’d get away with whatever wrongs they’d done. 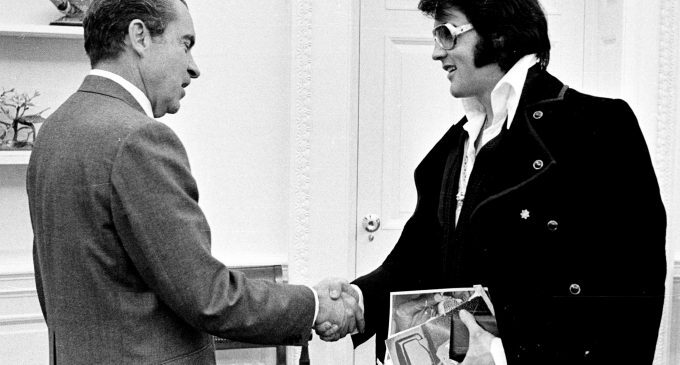 But today, the only musicians who want to meet the President are Kid Rock and Mike Love. They’re no longer seen as heroes or anti-heroes; they’re not icons who bring pomp and chaos to culture. It’s possible that, after all of the excesses of rock’s dominant decades, the rock star is finally dead. In his new book, Uncommon People: The Rise and Fall of The Rock Stars, UK-based rock critic David Hepworth chronicles the journey of the rock star as a force in pop culture. The longtime music journalist, who hosted the legendary BBC music show Old Grey Whistle Test, believes that the rock star’s dominance in pop culture is over. His book covers artists from 1945 to 1995, exploring what he thinks has hastened the rock star’s demise. From Little Richard and Chuck Berry to the Beatles and the Rolling Stones to Bob Marley and David Bowie to the Beastie Boys and Guns N’ Roses, Hepworth covers the spectrum. Noisey talked to him via Skype to talk about the first rock stars to catapulted into the national consciousness, what the term came to define in the ’70s and ’80s, and what it means now, years after hair metal and hip-hop broke rock ‘n’ roll’s dominance. Noisey: Why do you think the rock star is dead? David Hepworth: I think music trends tend to have finite span. The jazz era starts at the end of the first World War and it’s kind of over by the middle of the ’50s. Country music kind of starts in the late-1920s and it’s over by the 60s. It doesn’t mean to say there aren’t still people playing in that idiom, but you get a lot of reputation afterwards. The guitars started with Elvis Presley and developed through the Beatles and so forth, but pretty much stopped in the 90s. One of the things that strikes me is the rise of social media has made being a rock star as I used to know rock stars in the ’70s pretty much impossible. I think if people behaved in the way nowadays like David Bowie or Robert Plant or Jimmy Page behaved in the early-’70s, I think they would have great difficulty. We’re living a very kind of sensitive time and they’d be spending a great deal of their time apologizing for the very things that we used to idolize them for. The world has changed. The rock star had its day and hip-hop takes over. We’re obviously well into the hip-hop era now, but these things don’t last forever. One of the things that strikes me about rock stars nowadays is it’s used a kind of metaphor. People talk about rock star politicians or rock star chefs or rock star football players or whatever. They apply the characteristics that they used to apply to rock stars to other people, because certain qualities that they associated with rock stars- the recklessness, the sexual charisma, and a certain wild willfulness- they like to think they can see in other people. Those were kind of the rock star virtues. I think the rock star idea started in the ’50s, was more sophisticated in the ’60s, became kind of clever and complicated in the ’70s, became hugely popular in the ’80s, and then kind of collapsed under the sheer scale of expectations a rock star in the late ’80s and ’90s faced. Who were the first rock stars that catapulted onto the world stage? It’s those guys from the ’50s. When I started this book four of them were still alive—Chuck Berry and Fats Domino are no longer with us, but Little Richard and Jerry Lee Lewis still are. But the most influential rock star of all—a conclusion I came to while writing this book—was Buddy Holly. Buddy Holly didn’t look like a star. Buddy Holly looked like the guy next door. Buddy Holly wrote his own songs, about his own life. People like Paul McCartney and John Lennon, who at the time were 13 or 14 years old in Liverpool at the time looked at him and thought we could do that. We could be like that. We could write songs ourselves and be with our friends in a group. I think Buddy Holly was the person who kind of served as an example to that whole generation that came up in the 60s. People like Mick Jagger and Bob Dylan were massively influenced by Buddy Holly. They always wanted to be like Buddy Holly who came along in the mid-’50s and changed everything.